The New Nokia 130 has been put up for sale all across stores in India, a month after it was introduced alongside the new Nokia 105. The device which is an upgrade on the previous Nokia 130 does house an in-built rear camera and an ergonomic design which comes in three colourful varieties; Black, Grey and Red. Below, is a detailed description of the new Nokia 130. The device has a 1.8 inch LCD Transmissive screen with a QQVGA screen resolution of 120 by 160 pixels and ~111ppi of pixel density. It measures 106mm, 45.4mm, 13.9mm and 67.9g in height, width, thickness and weight respectively. 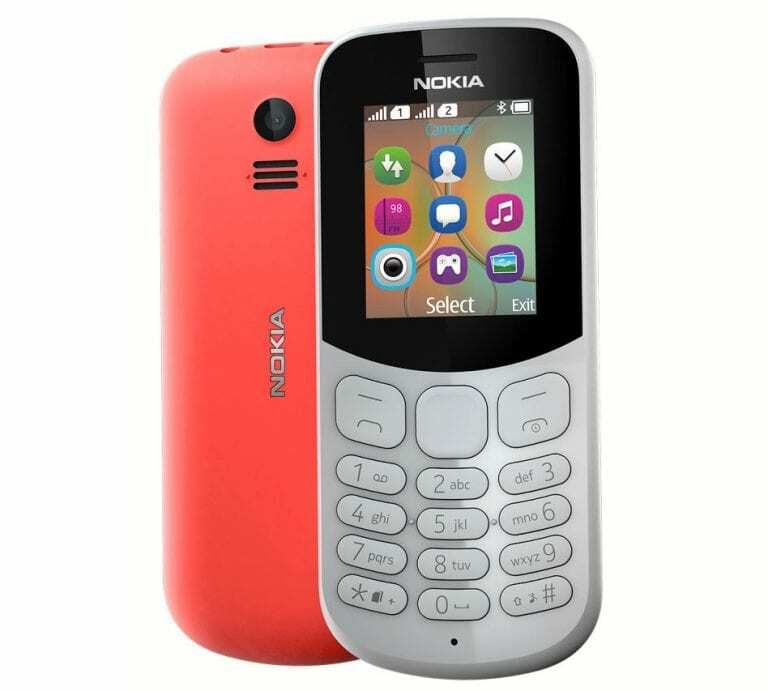 The Nokia 130 is made from sturdy polycarbonate shell that keeps it shining even after several scratches, and it uses a colour matching island keymat with separated keys for data input. The all new Nokia 130 pulls up a rear camera for snapping images and shooting videos with. It might not be as good as your smartphone camera, but it would definitely have a decent quality. It possesses 4MB of RAM and 8MB of internal storage for messages, contacts and multimedia storage and it also has a dedicated microSD slot for expanding memory up to 32GB in case the internal memory is not just enough. It features the same 1020mAh battery as was seen in the previous Nokia 130 which was introduced back in 2014. The battery can last up to a month on standby and as long as 44hours on music playback and 13hours on calls(if only this were a smartphone). The device would run on the Nokia Series 30+ operating system. The Nokia 130 supports Bluetooth sharing, USB sharing via its micro USB 2.0 connector. Gaming offers include the Classic Snake Xenzia with five trial ameloft games also available. The Nokia 130 has gone on sale in retail stores all across India starting at Rs.1599. It is available in red, grey and black colors.